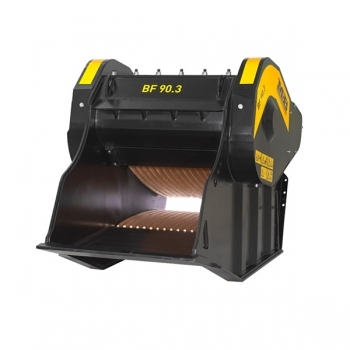 Perfect for on-site crushing of inert materials and the first one of its kind to be introduced on the market, the MB Crusher Bucket is a piece of equipment that works by taking advantage of the hydraulic system of the excavators to which it is fitted. The size of output materials can be determined within the range indicated in the data sheet provided here below. BF70.2: the second model manufactured by MB, for small to medium-sized crushing jobs. BF90.3: the legendary model, ideal for excavators with weight ranging from 20 to 28 tons. We are the one and only authorised dealer of the MB Crusher in Malaysia.